​Meet the Connected World of Tomorrow. 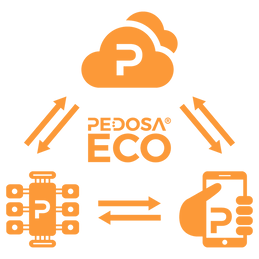 Pedosa® Ecosystem empowers businesses and individuals of all sizes and ages to harness the power of technology. Leverage our patented Internet-of-Things (IoT) infrastructure and workflow to reduce upfront and operational costs in driving IoT and digital transformation in your organisation, both for enterprises and for schools. From the Hong Kong Government, to the European Commission and the United Nations, Pedosa technologies have received worldwide recognition and awards. Beginning in Hong Kong, Pedosa Ecosystem have partnered with local organisations and enterprises to strengthen our understanding in local needs and perspectives. Learn how the Pedosa® Ecosystem can drive digital transformation in your organisation with lower upfront and operational costs, in the office or in the fields. Incorporate Pedosa® Ecosystem into your STEM education curriculum to develop your students' critical and cloud-centric thinking, with or without coding. Shaping digital entrepreneurs of tomorrow. Pedosa Corporation is a subsidiary of Pedosa Holdings, LLC. Pedosa® and the Pedosa® logo are registered trademarks of Pedosa Holdings, LLC. Pedosa® Ecosystem utilises a series of patented technologies and designs invented by Mr. Jordan Fung, the Founder and CEO of the Pedosa Group.